The Mass is the most important prayer for Catholics. On Sunday we gather together for this time of worship in support of each other and to give praise to God. It is a time to listen to God’s word and, through the offering of bread and wine, to bring our joys and sorrows to God, who transforms our offerings into the Body and Blood of Jesus in Holy Communion. 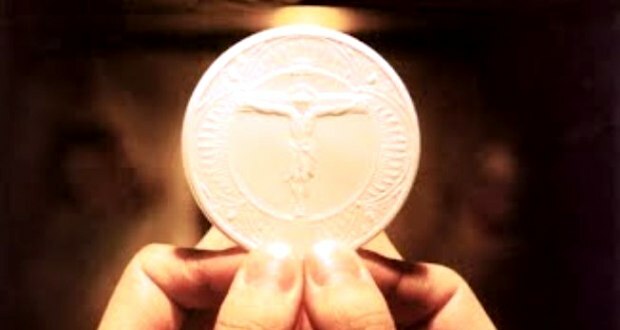 The Mass, sometimes called ‘The Eucharist’ (meaning ‘thanksgiving’) is described by the Church as being “the source and summit of the Christian life.” Through the words of consecration spoken by the priest, Catholics believe that our Lord Jesus becomes truly present in Holy Communion. The bread and wine become Christ’s Body and Blood. Why do we believe this? Because Jesus tells us in John 6:55: “…my flesh is real food and my blood is real drink. As well as our main Sunday celebrations, the Mass is also celebrated several times during the week. Please check the newsletter for the latest Mass times.